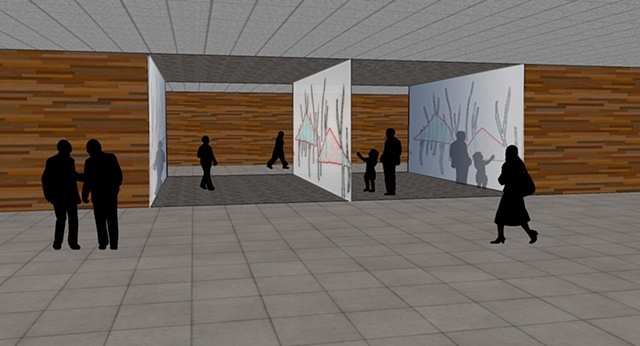 Rendering of installation concept for Digital Landscape video. Proposal is for a lobby or other transitory space. Video is projected onto a glass wall with mirrors on walls on each side.